So weightless, it redefines foundation. 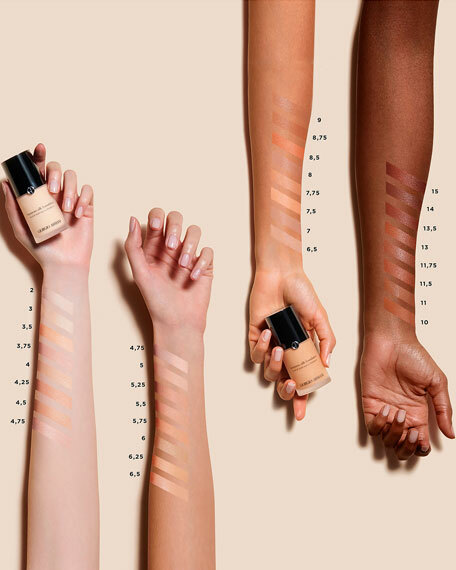 Capture the glow of perfect skin with Luminous Silk Foundation, an oil-free fluid with exclusive Micro-fil technologyits hydrating fluid glides on seamlessly with a silky texture and all-day, buildable coverage. Weightless and luminous oil-free fluid. All-day sheer to moderate coverage. Named "Hall of Fame Foundation" in Elle magazine's "Hall of Fame" (October 2010, p342).